Update: The full firmware files are now available for download. Last week has been a pretty busy week for the OnePus software development team. The OnePlus 5 received 3 consecutive OTA updates to OxygenOS v4.5.11, OOS 4.5.12, and OOS 4.5.13 back to back. Moreover, the manufacturer becomes the first one to release official Android 8.0 Oreo for OnePlus 3 and 3T with the Oxygen OS Open Beta 25/16 respectively. 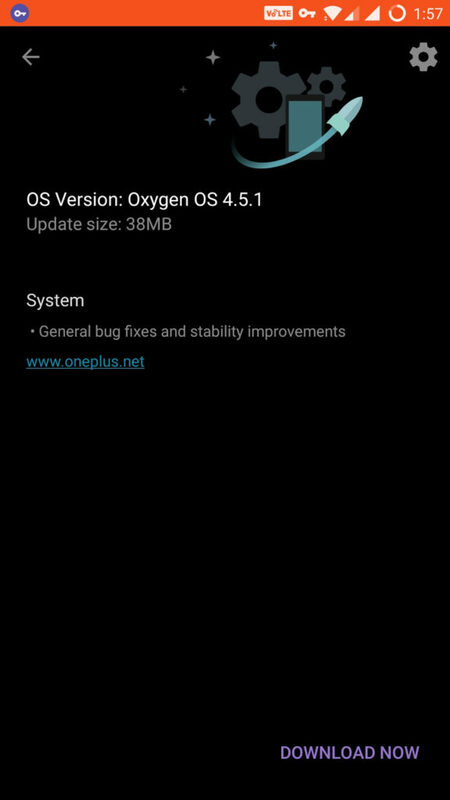 Today, the official stable Oxygen OS 4.5.1 has been released for the same and readily available for download. Not much is known about Oxygen OS 4.5.1 other than it brings the general bug fixes and stability improvements. That’s all the update log says. The firmware is still based on Android 7.1.1 Nougat with the security patch level as the previous. The OTA comes in a small package of 38 MB. Though it does not reveal much, we expect the update has to do something about the OnePlus built-in analytics data collection. We have reports that the data mining actually improves battery stand by time and overall battery performance. So its better to get the update as soon as possible. Read: Complete guide to disable OnePlus built-in analytics data collection. The OTA is currently rolling out in Canada, Germany and other parts of Europe. For Asian countries, the update rolls out in the end. So you can either wait for it to notify you, or simply change location to Germany or Canada using a VPN app and capture the OTA. While you download the OTA update, we are searching for the full stock firmware files for the OnePlus 3/3T and update it soon below. So stay tuned. Visit: How to capture OTA update via VPN on OnePlus devcies?